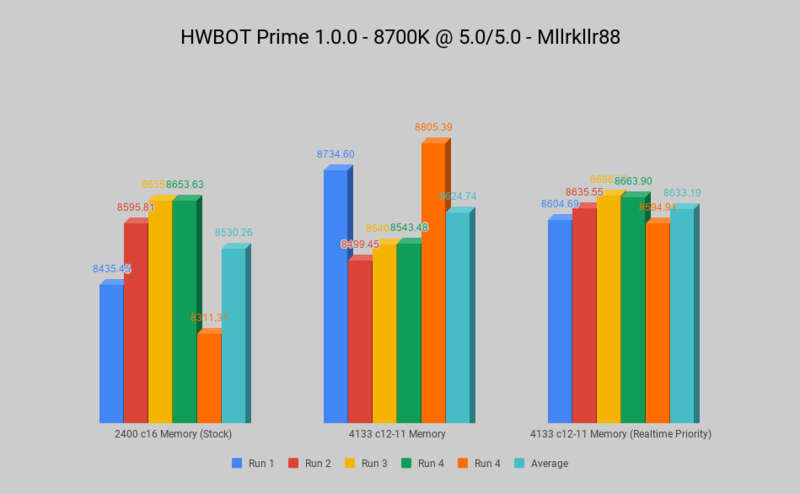 HWBOT Prime has been given a long overdue update today. Fetch version 1.0.1 while it's hot here. compatible with Java 8, 9, 10, 11 without tweaks. Java 7 and lower support has been dropped. support for a "stability test", aka HWBOT Prime 30min, which searches for the highest prime number in 30 minutes. The highest found after 30 minutes is your benchmark score. remove dependency of javasysmon library as many windows machines seem to have problems with it. If found stable and better protected against cheats, we might reconsider disabling points for HWBOT Prime when revision 8 launches later this week. The android version if HWBOT prime has not yet given an overhaul. Well we at least need some sort of clean up on the results already on the system if we are to eventually give the benchmark points again. So making it a seperate benchmark at least is the easiest and cleanest way of doing it imho. 1.0.1 works fine on X58 and W7 x64 pro. Man I missed this bench. Make it a keeper this time. 1.0.1 works fine here too. Direct upload to HWBOT thru "analyze on HWBOT". All seems normal. If @richba5tard you are certain that it is bulletproof, give it points. But clear up old "problematic" submissions first, of older highly cheatable versions. works fine here on my daily. just tried it out at stock...where is a preview option on here b4 you post , jesus, ,make it simple to use then you get simple back, ? pretty bloody simple isnt it?? 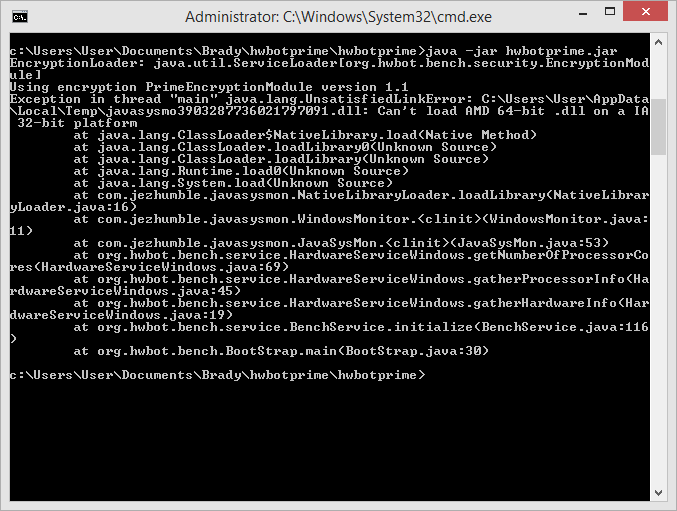 Tell me please in the new HWBOTPrime 1.x.x will be planned support for Java 7 or not? And will there be a division of this test into two versions, according to the principle of the Cinebench, for example 2003, 11.5, 15? After all, this multi-threaded test is very good for comparing the performance of old systems where Java 8 is simply not installed. What to do with the old systems? Why not left Java 7 ? 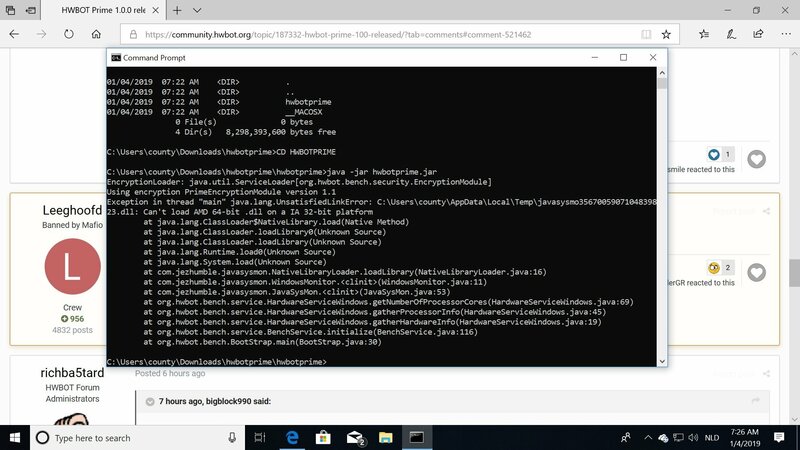 Which old systems do not support java 8? 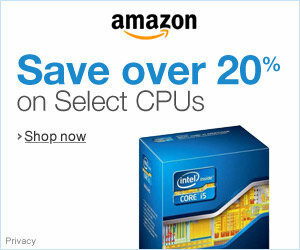 I'll add java 7 compatibility if I must. Whoooo, it returns! Will there be... Oh, I see there's already the option to submit to both standard and stability. Nice! Fix the off line saved subs. They all read invalid when you sub them. Started a thread about an invalid issue I'm having, then saw this thread. I did go ahead and download 1.0.2 and will try that shortly. wow @ the variability...slot machine comparison is 100% correct. Today I have tried v.1.0.2 on WinXP with Java7, it is doesn't work but with 0.8.3 all is ok. When I click on 1.0.2 nothing happened see screen with task manager. v.1.0.2 working fine here and, yes, it's still a slot machine. I think that part of the algorithm wasn't changed from 0.8.3.